Dominic Bradbury is a writer and freelance journalist specialising in architecture and design, as well as property and travel. He has written over twenty books, including Mid-Century Modern Complete, The Iconic House & The Iconic Interior (all Thames & Hudson), as well as Making House: Designers at Home (Rizzoli). 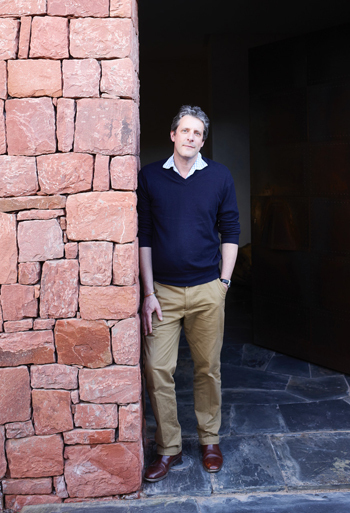 As a journalist he contributes to magazines and newspapers in the UK, US, Australia and internationally, including The Financial Times, The Times, The Telegraph, House & Garden, World of Interiors, Wallpaper, Vogue Living and various editions of Architectural Digest and Elle Decoration. As a consultant, Bradbury assists a number of architectural and design bodies, including The Red Book agency, and undertakes occasional copywriting for select clients in the fields of architecture and property development. He is also a guest lecturer at the Victoria & Albert Museum, where he has spoken on various aspects of 20th Century design. He is represented by Conville & Walsh, London.